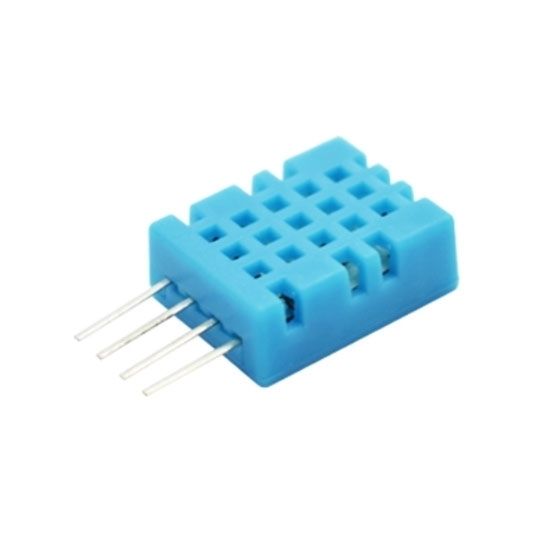 DHT11 temperature and humidity sensor includes a resistive humidity sensor and a NTC temperature sensor, built-in one high-performance 8-bit SCM, one-wire communication mode, with small size, excellent quality, fast response, strong anti-interference ability, low price, long signal transmission distance. 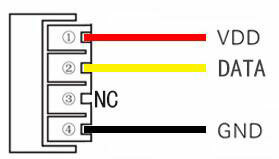 Temperature and humidity sensor has a resistive humidity sensor and a NTC temperature sensor, one-wire communication mode. Application: Temperature and humidity sensor is widely used in HVAC, dehumidifiers, automobile, data loggers, humidity regulators, and humidity detection and control system. Climate monitoring: The temperature and humidity sensor is essential equipment for temperature and humidity measurement, it can be used for weather measurement and forecast. Greenhouse cultivation: Modern agriculture, forestry, animal husbandry and other industries have a considerable number of greenhouses. It is one of the conditions to reduce plant diseases, insect pests and increase yield by controlling its temperature and humidity in a suitable range of crops, trees, livestock and poultry. Industrial production: In the fields of textile, electronics, precision machinery and ceramic industry, air temperature and humidity directly affects the product quality and output, they must be monitored and controlled effectively. Storage of goods: All kinds of goods have certain adaptability to the environment, too high or low temperature and humidity will make the goods to lose the original properties. For example, in the high humidity area, electronic products would suffer from serious damage in the warehouse, the nonmetal parts would be mouldy and metamorphosed, and metal parts will corrode and rust. Use and protection of precision instrument: Many precision instruments and equipment require higher working environment, the environmental temperature and humidity must be controlled within a certain range to ensure the normal work, improve the work efficiency and reliability. For example, working humidity of telephone program control exchanger had better to be 55 % ±10 %, high temperature will affect the insulation performance, while low temperature will produce static electricity, thus affecting the normal operation.